When deciding what not to pack when moving, it helps to know what your moving company isn’t allowed (by law) to take on their moving truck. There are a number of common household items, that can’t go on a moving truck for safety reasons, that you should plan to transport yourself or repurchase after your move. In addition, you shouldn’t pack anything on the moving truck you may need during the course of your move or when you first arrive at your new home. Check out our video which outlines everything you shouldn’t pack on the moving truck. You can also find all of our suggestions below. To help you avoid a moving-day headache, here’s a handy list of what not to pack when moving. In order to keep the moving crew and your belongings safe during transit, there’s a wide variety of items that you can’t pack on a moving truck. These items fall into a few basic categories from flammable materials to household chemicals and include plenty of common items you’ll need to deal with before moving. When you’re going through your moving checklist, plan to set these items aside and arrange to transport them yourself or dispose of them in a safe and environmentally-conscious manner. Everyday cleaning, beauty, and potentially flammable items are safe when stored in your garage, workshop, or under your sink, but they are perfect examples of what not to pack when moving. Even though they are harmless when stored properly, they pose a threat on the moving truck which can reach high temperatures in the summer. There are also laws that govern what items your moving company can and cannot transport across state lines. At first, compressed gases and poisons sound like items you would steer clear in your everyday life and not just when you’re moving. But gardeners, pool owners, and anyone with a fire extinguisher will tell you that these items are common in most homes. 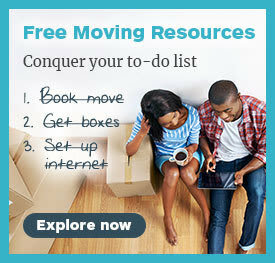 Once you have these items identified and safely packed away, plan to transport them yourself during or after moving day. In addition to the flammable and poisonous items, there are also some food items that you need to avoid packing on a moving truck. While there are some non-perishables that make the cut, in order to avoid pests and making a mess, leave the food behind. If you’re preparing to move with a professional moving company, ask if they partner with Move For Hunger, a service that collects your nonperishable food items during your move and donates them to charity. Speaking of unwanted pests, there is another pest you must check your outdoor items for before you move: the gypsy moth. According to the United States Department of Agriculture, if you’re moving from an area native to gypsy moths, you must inspect all outdoor items for signs this destructive moth in all stages of its life cycle. Check this map to see if you live in a quarantine area and print out their self-inspection checklist for all of your outdoor household items. With a little diligence, you can help save millions of trees during your next move! People moving are often surprised that they are not allowed to take the contents of their liquor cabinet on the moving truck. Ask your moving company about their policies regarding transporting alcohol. If they don’t allow it, it may mean you’ll serve some extra cocktails at your going away party. You should also never plan to send your pets on the moving truck, whether they’re lizards, fish, or even just houseplants. Here are some other miscellaneous items on the list of what not to pack when moving. 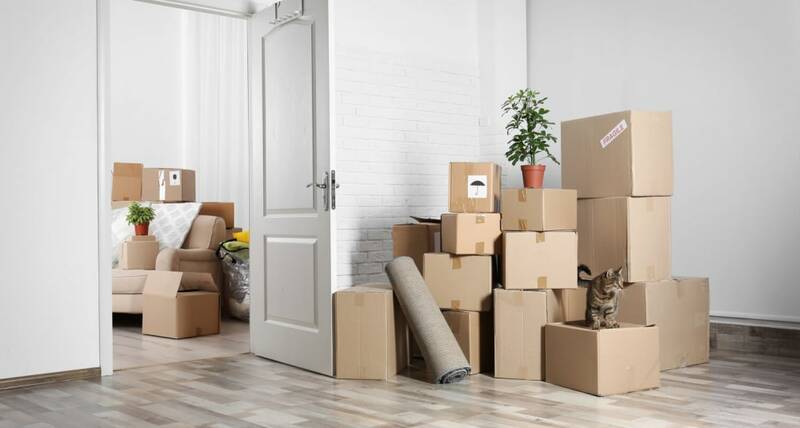 In addition to the items mentioned above that you can’t pack on the moving, there are also items you might choose to keep off of the moving truck. 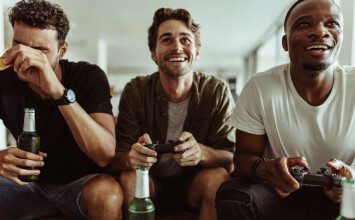 You may choose to exclude them to ensure they remain safe during the trip or you may need access to some items during or directly after your move. 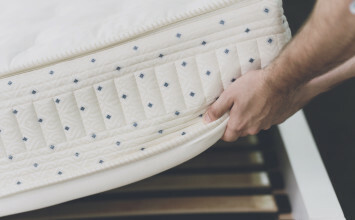 Whatever the case, here’s what you might choose not to pack on the moving truck. To keep your most treasured belongings safe, it’s a good idea to not pack sentimental and valuable items on the moving truck. Instead, keep them with you during your move. These items include family heirlooms, electronics, or any personal items that are irreplaceable. If you’re not able to transport large items yourself such as antiques, make note of them to your moving company and ask if they will help you wrap and secure these items during the move. When you’re deciding what not to pack when moving you should consider keeping all personal documents and identification with you. This includes documents from your insurance company or healthcare provider, your personal identification, and all of the documents associated with your move. Your moving contract contains valuable information you’ll want to have easily accessible, so keep it off of the moving truck. If you’re moving to a new home or apartment, you’re going to want to keep essential items handy for your first days in your new home. Having an essentials box full of everyday comforts on standby is crucial to making your first days in your new home comfortable. You could fill this box with items as simple as a change of clothes or even a shower curtain. Now that you have a solid list of what not to pack when moving, you’re prepared to assemble everything you can take on the moving truck. 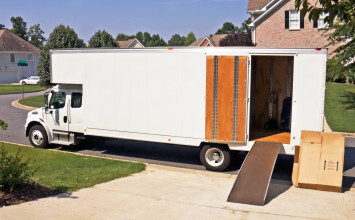 Although it may sound like there are a lot of items that can’t go on the moving truck, these items will make up only a small percentage of what you move. Following these guidelines will keep your belongings (and moving crew) safe during their trip. Happy moving!